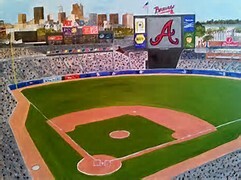 Last season the Atlanta Braves were one of six teams to finish in last place in their division. What makes this all the more interesting is that it was their first year in last place since 1990, a span of 26 years! The other five teams that finished in last place were Cincinnati, Minnesota, Oakland, San Diego and Tampa Bay. For Oakland and Cincinnati, they also finished in last place in 2015. The Twins last season as a cellar-dweller was in 2014; the Padres last time was in 2011; and the Rays last finished in last place in their division in 2007. Over the last three seasons, 13 of the 30 MLB teams finished in last place in their division in at least one season. But it’s interesting to note that five MLB teams have not finished in last place in their division this century (since 2000) and two of those five (the New York Yankees and St. Louis Cardinals) have not finished in last place since 1990. Following is a look at the last season each of the 30 MLB teams finished in last place in their division.